Born in Staffordshire in 1959, Michael's initial fascination with clay began with studio pottery at art school. This, combined with his understanding of human figure dynamics developed in the life drawing class, set him on his creative path and a lifelong study of the figurative image. 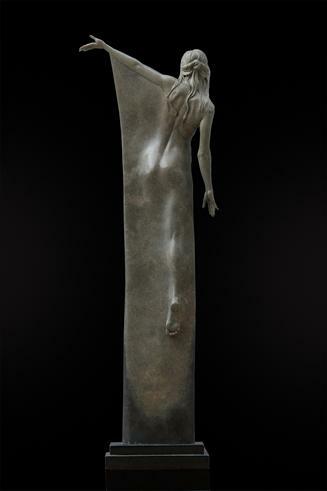 After completing a BA Hons degree in Sculpture, he gained a scholarship to the Royal Academy Schools London for post graduate study in 1980, winning the Landseer Prize in 1983. He studied further at The Sir Henry Doulton Sculpture School under Colin Melbourne ARCA and Dame Elizabeth Frink RA. Michael was elected a member of the Royal Society of British Sculptors in 1997. 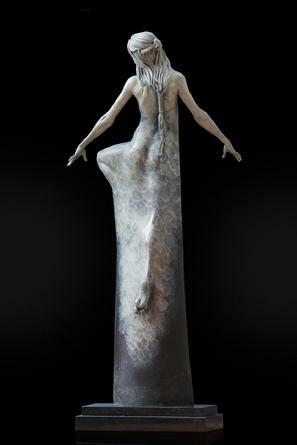 The inspiration for Michael`s work has always been the human form and its dramatic poetry. It is this, together with his exquisite skills that make his work so individual, intricate and beautiful. 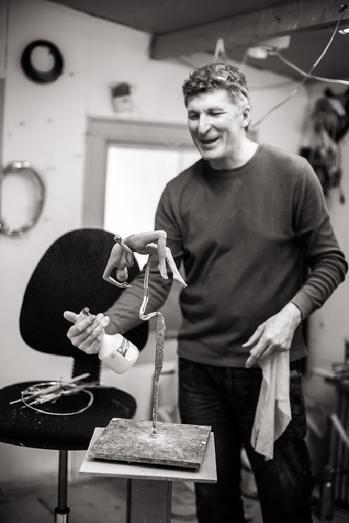 Michael creates the original clay sculpture which he then casts into bronze, uniquely finishing and patinating each sculpture. This process is wholly under his control allowing him to enhance and refine the final image. The wonder and fascination of sculpture is its ability to be a solid form that can be seen, touched and walked around and yet remain an object of pure spirit. 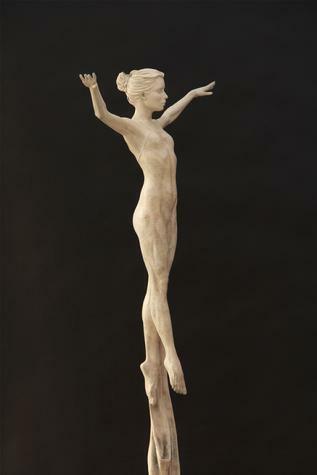 Michael's work has recently evolved from traditional female figures and dancers to encompass more contemporary creations, blending beautiful and intricately detailed figures with contemporary shapes and themes. The results are stunning works of art that are comfortably at home in very different environments, from extremely modern to the very traditional. "The human form gives me an endless source of inspiration. The subtlest of movements and expressions can be captured in the sculpture to portray myriad emotions and convey tension, drama, fluidity and grace. No other subject has this richness of emotional and spiritual content or the capacity to convey such a broad and interesting narrative." Michael's sculpture is in public and private collections throughout the world including: Patrick Lichfield, former chairman of the Arts Council, Lord Gibson and the Nat West Bank, portraiture sculpts for leading politician Sir Malcolm Rifkind, the actress Jamie Winstone, hotelier David Morgan Hewitt, Royal Ballet Principle Dancer Edward Watson, as well as recently embarking on exciting new projects with the No Fit State Circus , The Royal Ballet and the Supermodel Kate Moss creating stunning new bodies of contemporary sculpture. "Edward Watson (in Rehearsal)" Bronze, Height 48"
"Veil" Bronze, Height 30 1/2"